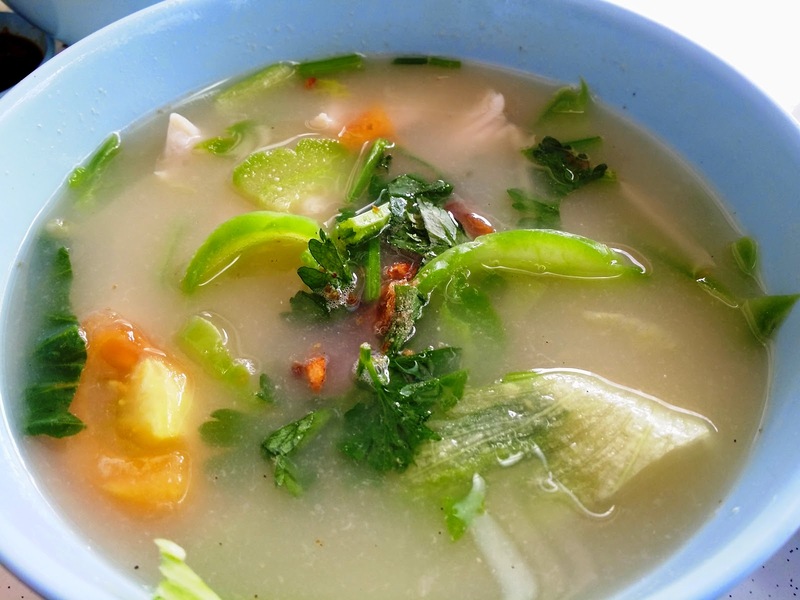 Beside Korean Cuisine, my next favorite food will be Fish Soup. My recommendation for today will be a Fish Soup Stall named " Boon Keng Road Fish Head Bee Hoon", located in a coffeeshop at Blk 416 Bedok North Ave 2 #01-47. Even though this stall look quiet but actually there were a lot of people are waiting at their table with the order number. You must be patience to wait for your food to be serve and the waiting time at least 15 to 30 mins. 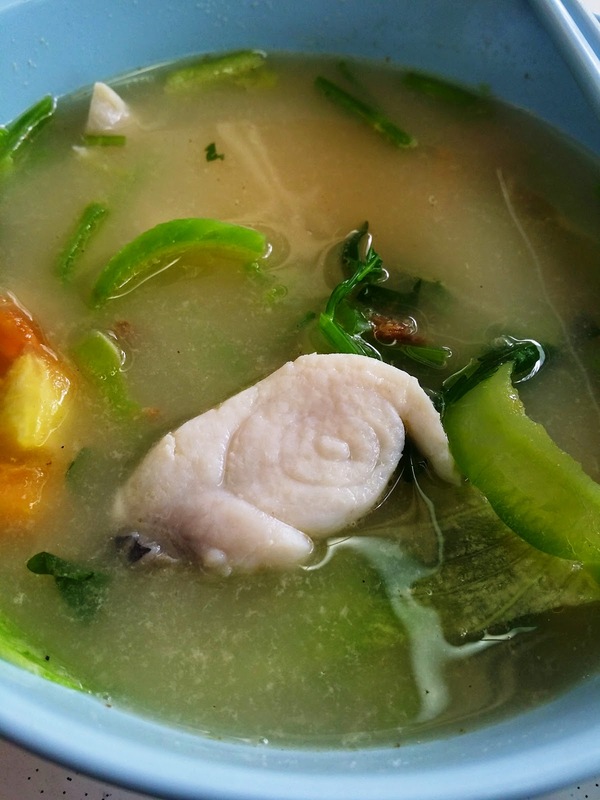 This bowl of fish soup tasted really savory and sliced fish used was fresh. I have no regret for the long waiting. 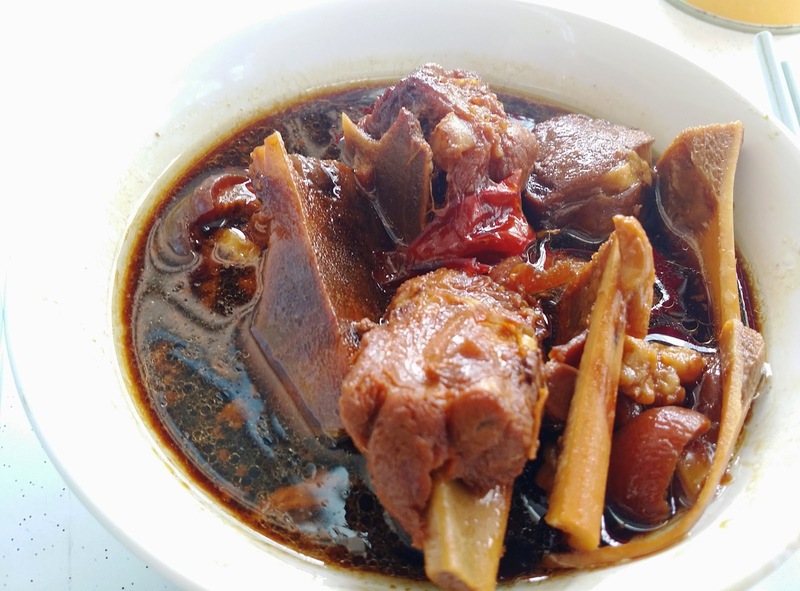 If you don't like Fish Soup, you can also find other dishes in this stall, such as the Bak Kut Teh, Mixed Pork Intestines and Braised Pig Trotter. My next recommendation will be the Braised Pig Trotter. The dark gravy braised sauce was savory but not too greasy. Pig trotter's meat was soft and tender. With the braised sauce indeed complement well with the bowl of white rice. The price range for a bowl of Braised Pig Trotter at S$3.00 was consider inexpensive.